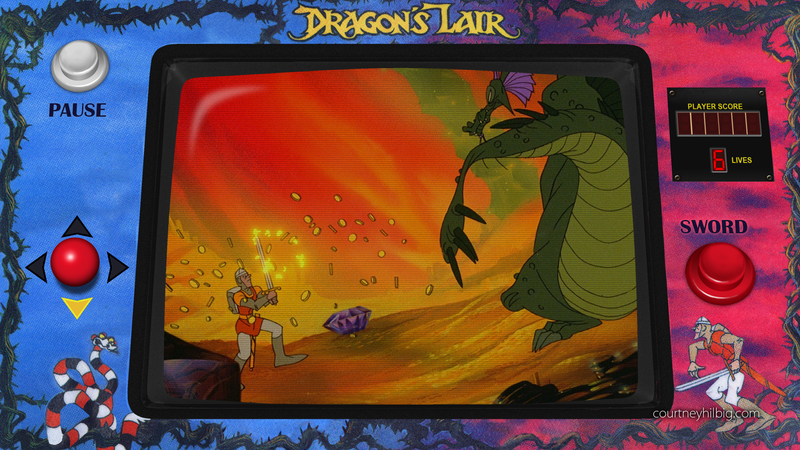 Dragon’s Lair is a fully animated classic arcade game that many older gamers remember fondly. 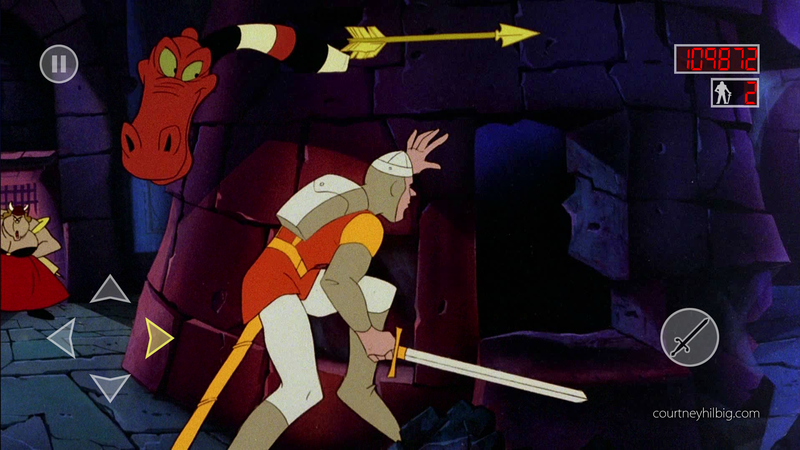 Created by Don Bluth, Dragon’s Lair puts players in the role of Dirk the Daring, a bumbling but determined knight, on a quest to save his love from the clutches of the evil dragon Singe. This game was created and released a while ago, but as new hardware was released, the game became unplayable for a lot of users. When the opportunity arose for an update, I was asked to help overhaul the UI to make it work better for modern devices, and more uniform across the titles in the Dragon’s Lair series (including Dragon’s Lair, Dragon’s Lair 2: Time Warp, and Space Ace). Authenticity is the most important consideration when working on a classic title. With that in mind, I restored & incorporated the original art as much as possible into the new design. New interactive menu elements borrowed heavily from the design of the original games, overlaid on official art or actual images taken from the game. The new Dragon’s Lair 2: Timewarp main menu pans through an original panoramic background. In-game controls were kept as minimal as possible, allowing a clear view of the animated video while still remaining responsive.